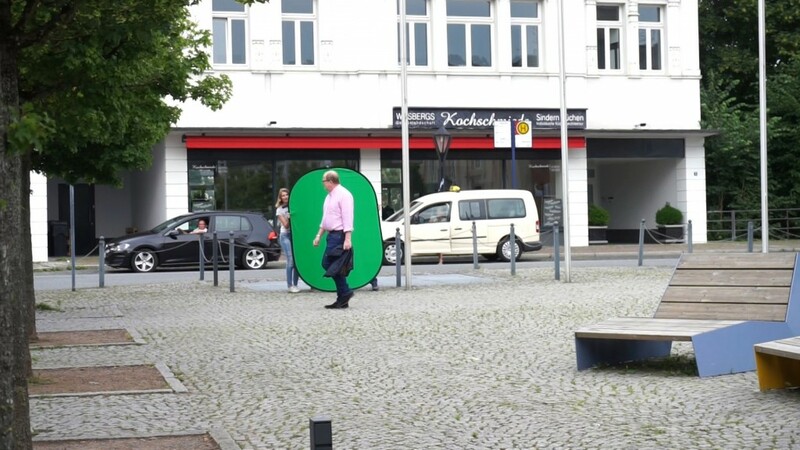 Catch me if you can is a performance in public space during the show „Remind me later“ at Kunstverein Arnsberg in July 2016. 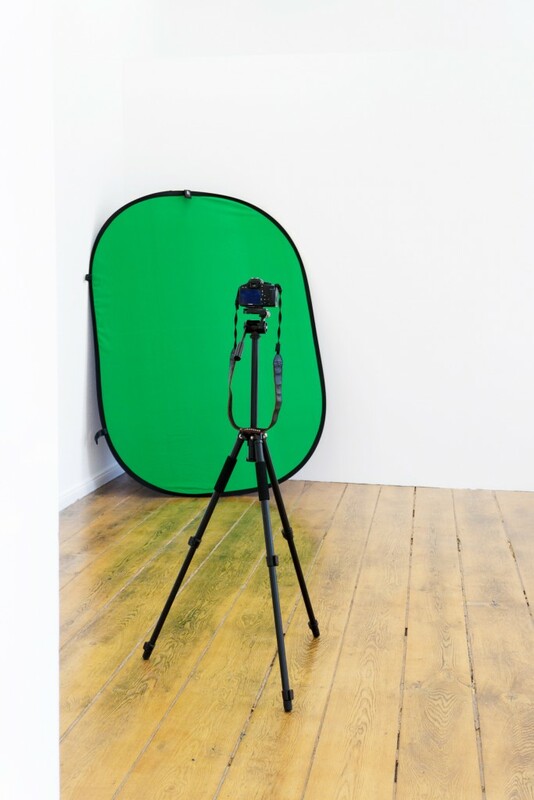 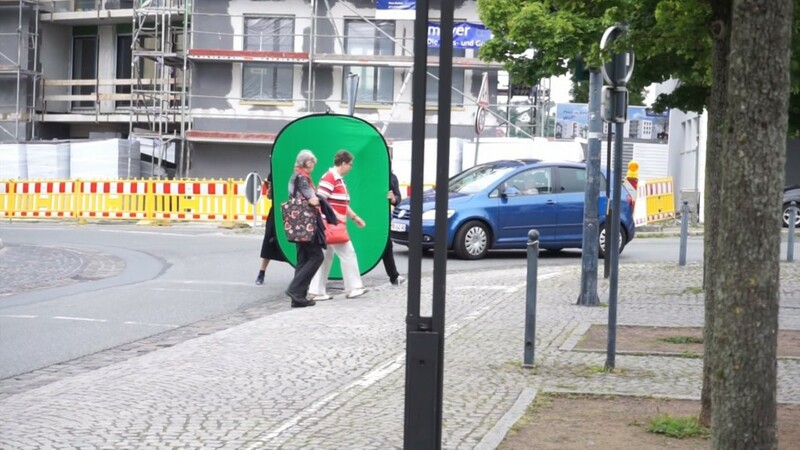 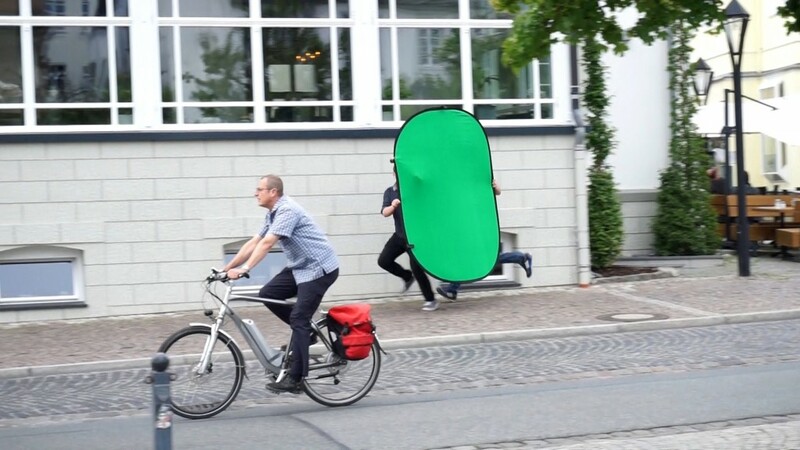 The idea is to ‚frame‘ random pedestrian in public with a portable green-screen. 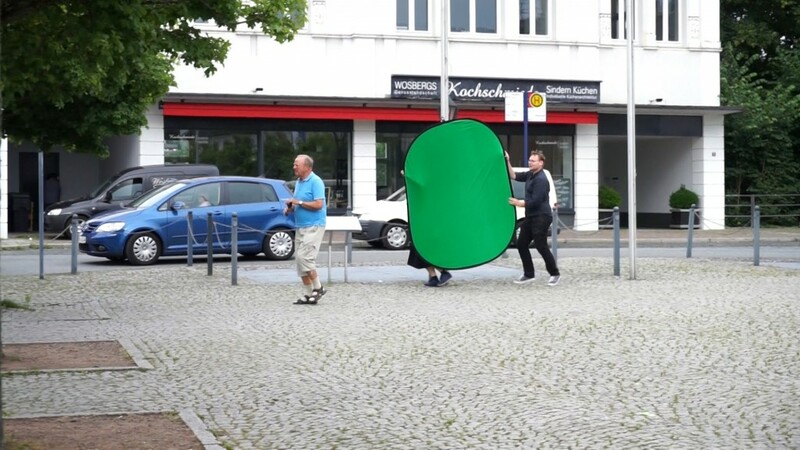 The by-passers become unwittingly actors of an imaginary movie set. 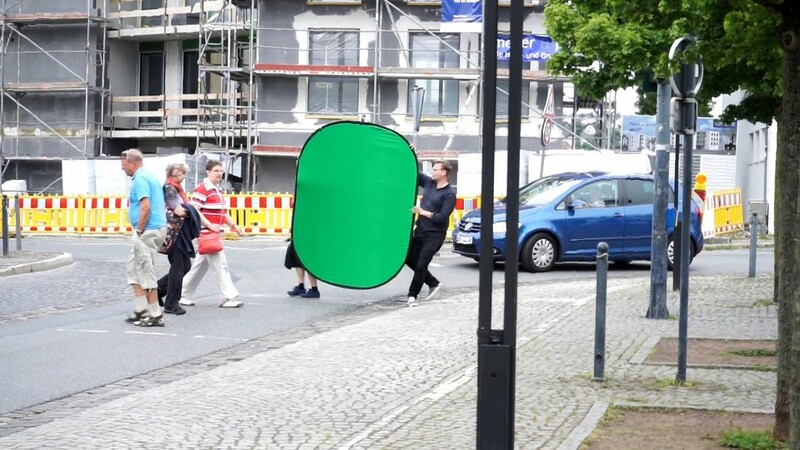 The green-screen background represents unlimited layers of augmentation in a post media everyday life.